Get Thee To BTW Bakery! When corporate lawyer Helene Godin quit her job seven years ago, she had no idea how dramatically her life would change. She has gone from spending her days crafting contracts to building one of New York’s fastest-growing food businesses. And kosher certification helped make it possible! By the Way Bakery began in May 2010 when Helene Godin gave up a 22-year career as a workaholic media attorney. She went from doing legal work for NBC and Bloomberg, among others, to starting a bite-sized bakery in her hometown of Hastings-on- Hudson. Her goal was to connect with her neighbors, and she had a hunch that people were eager to try baked goods that were both gluten-free and dairy-free. More than that, people were hungry for an authentic experience, something local and handmade. In her twenty-plus years as an attorney, Godin spent little time baking. Determined to exceed all expectations in her post-legal career, she decided to invest the same focus, determination and energy she had devoted to the law to the kitchen. Extensive research and hundreds of experiments over the course of many months finally led to the first successful recipes. 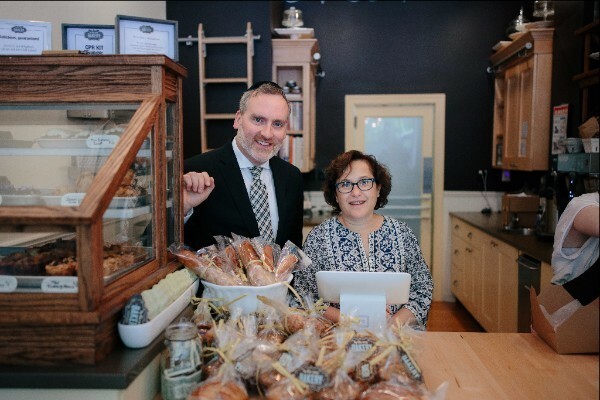 The first bakery (see list below for all locations) opened its doors in Hastings in May 2011 and Godin found herself — and her cookies — baked into the community. 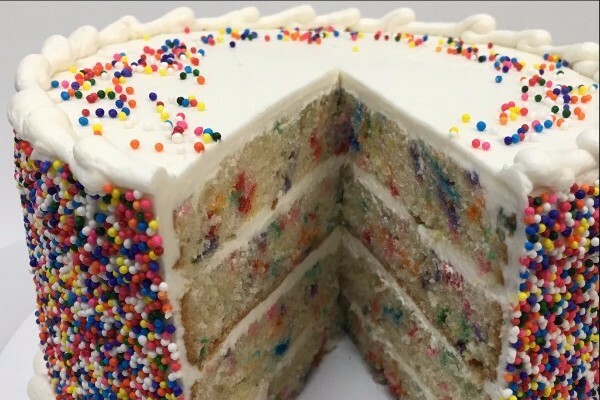 The bakery has been featured in The New York Times, on MSNBC, and in Fortune magazine, among other publications. And Godin was selected as one of Westchester’s leading businesswomen by the publishers of Westchester magazine. But it was the opening of her second shop on Manhattan’s Upper West Side in January 2014 that really put By the Way Bakery on the map. The synergy was obvious the very first Friday morning that the store was open. Godin noticed that at least a third of her customers were buying baked goods for Shabbos. The pareve Classic Chocolate Layer Cake quickly became a staple at many Shabbos dinners, and the Sour Cherry Coffee Cake became a must-have for Shabbos lunch. This led to a year-long quest to develop a gluten-free Challah. The flour mix needed to be at least 50% oat flour. That provides for the requirement to recite the Hamotzi blessing. And, the Challah needed to meet Godin’s exacting standards – everything at By the Way must taste as good as, if not better than, conventional baked goods. 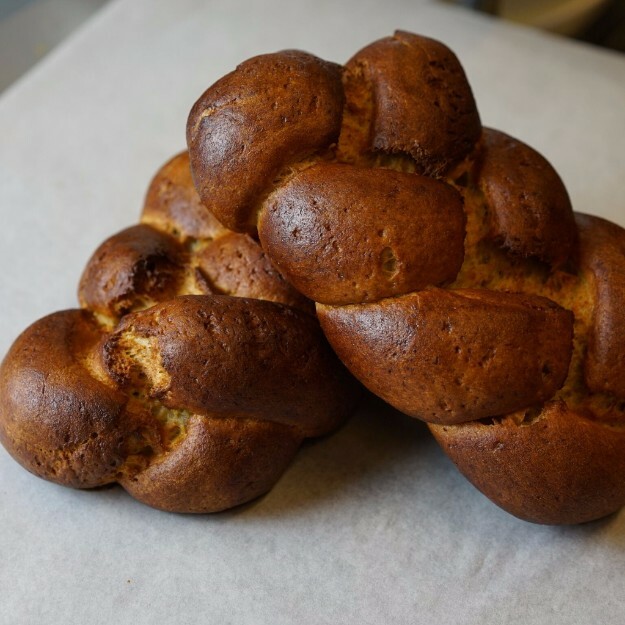 BTW Oat Challah made its debut in September 2015, just in time for Rosh Hashanah. It now sells out regularly on Fridays, often long before sundown. 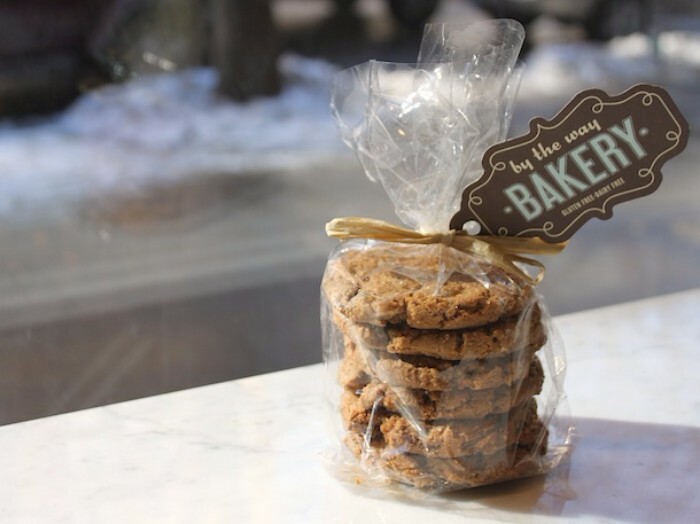 A third By the Way Bakery opened on the Upper East Side in October of 2015, and a fourth opened in Greenwich, CT in mid-December. By the Way Bakery desserts are also available in twenty-one Whole Foods Markets in the Tri-State area. According to the New York State Department of Agriculture, kosher-certified food is one of the fastest-growing sectors in the food industry. 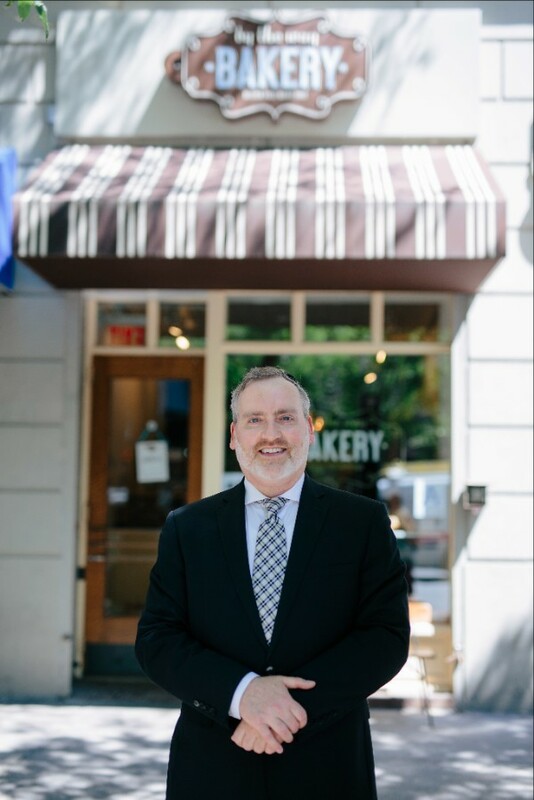 That’s why Helene is so thankful that that all of By the Way Bakery’s retail locations are under Rabbi Aaron D. Mehlman’s strict supervision. 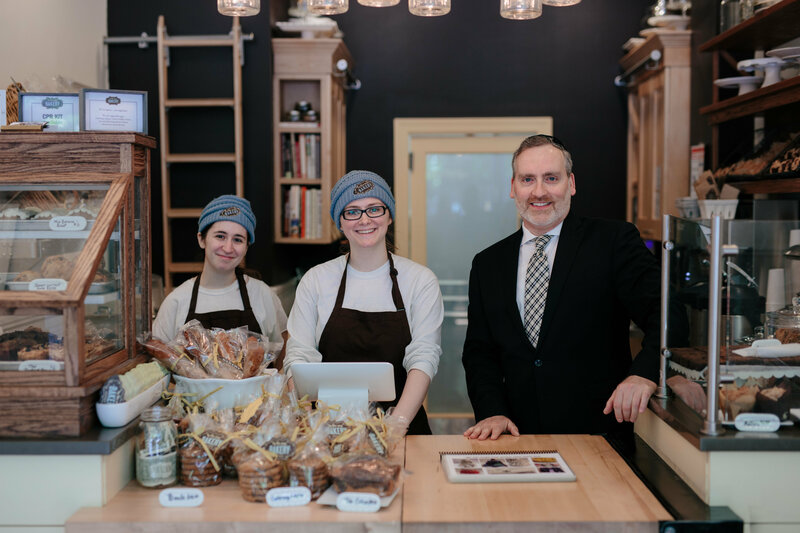 When customers see the National Kosher Supervision sign in the window, they know that By the Way Bakery baked goods meet the highest kashrut standards. Make sure to check for our Kosher certificate the next time you visit any of the locations below! Next Best Kosher Pizza in NYC!